Check out our Specials page for our daily drink specials and click on the Current Beerlist link for a PDF of our current beers on draft, and in bottles and cans. Jester’s maintains a selection of beers and wine ranging from the “cheap” to the “exotic.” We are PROUD of our beer selection! Come in for a PBR, and stay for the craft beers. 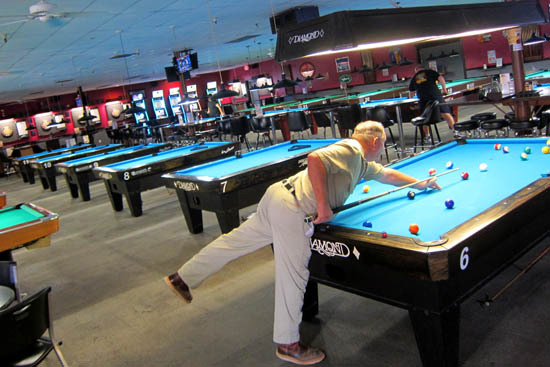 Jester’s also hosts league play for both billiards and darts. Click on the links above for details on those activities. We feature steel-tipped and plastic-tipped darts! Play on the new VSPHOENIX digital dart machines. You can look forward to fast, friendly service, and a great evening of fun in a clean, safe environment. This is a neighborhood bar, with a upscale feel, the best place in town for billiards, darts and craft beers. Jester’s Billiards, the BEST sports bar for billiards, darts and craft beers in Gilbert, Mesa, Tempe, Chandler, Scottsdale and Phoenix!